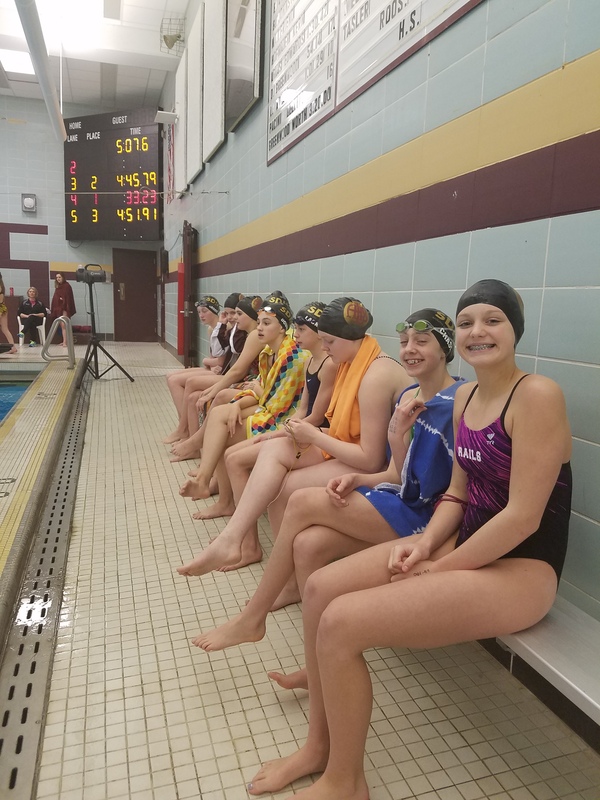 The SDMS Seahawks held their last regular club meet of the winter season on Thursday (2/16). Over 100 swimmers gathered at Lincoln High School to compete for ribbons and new best times. And it was great meet with tons of swimmers succeeding with new best times! This Gray vs. Gold Rematch meet is set up like a standard club meet with age-groups and genders separated for final results. Below are a few meet highlights from the meet. But we encourage you to check out the full meet results. You can also view past meet results for several seasons in the SDMS Meet Archive. The seasonal results PDF has been updated for all meets from September 1, 2016 to now. This PDF is a unique resource SDMS offers to our swimmers to make it easy to see times and events from all meets from the listed date. The PDF is divided up by swimmer individually and you can search for your swimmer using CTRL + F. We encourage you to share the results with your swimmer(s) so they can see their progress, whether that’s improved times, trying a new event or more. Here’s a few meet highlights from the Gray vs. Gold Rematch meet. Great job Seahawks! Ireland Jones has dropped 10 seconds in the Girls 9-10 50 Free so far this season to a 40.14 (PB)! Torin Lackmann swam the Girls 13-14 200 IM in a 2:37.17 (PB), her first time under 2:40! Below are just a few photos from the meet. We love collecting and sharing photos with all of our families. So if you’d have some from meets you’d like to share, please send them to us!